As internet usage has increased, we have learned new acronyms which are used in everyday life. Such as LOL, LMAO, SMH, and many others. These acronyms are the internet way of expressing the feelings, and the short form allows the conversation to go on in a fast mode without having to type long sentences. 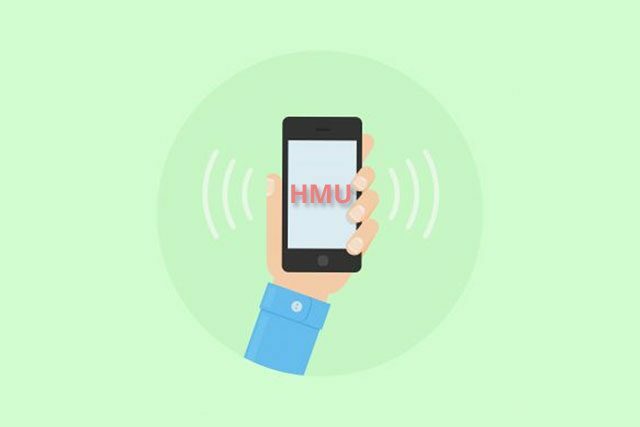 Today we are talking about HMU which has gained popularity in the recent past, and we see many of the young generation using it. But what is HMU? Let’s find out. This is a short form of expressing the need to get in contact but not at the moment. It is used in chat, texts, and emails while in instant texting it is also found. Interestingly, both upper case and lower case of HMU is found in chats. It can be “hum” or “HMU.” If you are using any of the above-mentioned cases that are an upper case or lower case, if is fine. That means the same thing in both cases. Just remember that writing a full sentence in the capital is considered rude and in internet language, it is considered as shouting so one should avoid writing an entire sentence in the upper case. And only use capital writing when needed to emphasize on anything. HMU can be used as the following ways. Boy1: I need to get those notes before it gets late. Do you have them? Boy 2: yes I do have them. HMU with your email so I can send you. Girl 1: We need to go to that store ASAP. Girl 2: okay, HMU when you get free. Boy 1: does anyone have tickets to that concert happening? Boy 2: yes I do. I have them in my car. Boy 1: when can I get them? Boy 1: HMU when you get free ok.
Woman 1: why were you calling me at such hours? Woman 2: I wanted you to HMU while I shop for dinner. HMU is an abbreviation of the expression which is commonly used on the internet and other chat versions. A simple way to express the need to get in contact later.